It's 1978 and the Reverend Jim Jones has moved his Peoples Temple from San Francisco to Guyana. Rumors immediately shoot through the city that Jones is taking revenge on all of his critics. 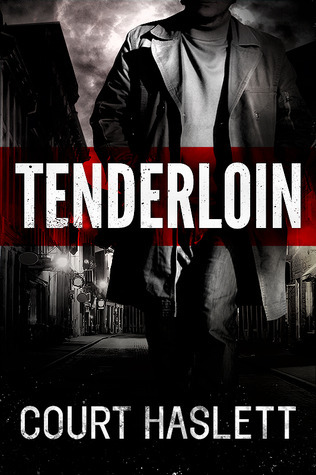 When a former Temple member and friend of Tenderloin vagabond Sleeper Hayes is murdered, and another friend is accused of the crime, Sleeper sets out to uncover the truth. But the truth and justice are hard to find as Sleeper becomes the Temple's next target while investigating a murderous plot that stretches from skid row all the way to City Hall. This is a story that takes place in the tenderloin district of San Francisco, it begins with a friend of the main characters death and Sleeper Hayes, thinks that person has been murdered, but since it took place in the poor part of town the police will not look into it. Once he starts poking around another friend ends killed and now the police are looking at him. This is a good who done it and the story takes you back in time with the People Temple, Jim Jones, who began there in San Fran then moved to Guyana. The author makes you feel like you are right back there with record stores on street corners and different music playing along with other visual help this makes for a fantastic book with characters that you can believe lived that way. A very good book. I got this book from net galley.